These high quality stainless steel engraved pocket knives may be the perfect gift for the sportsman in your life. Whether hunting, camping, or hiking it is always a good idea to keep a compact knife with you at all times because you may never know when you might need it. Each engraved knife may be personalized with a name, initials or a short message. 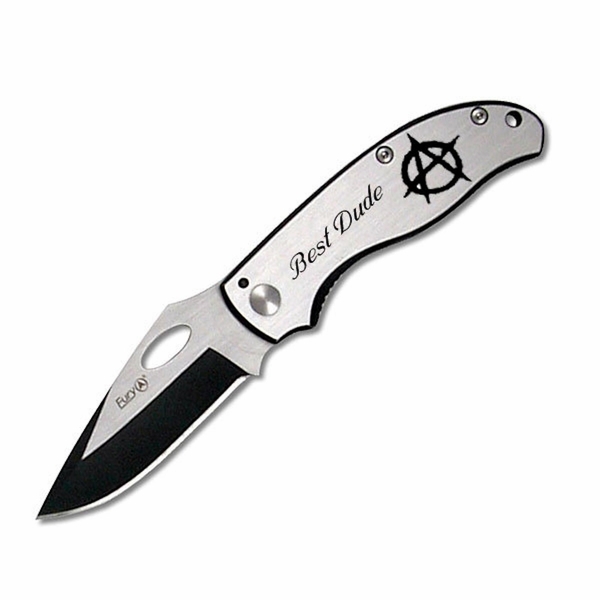 Customized pocket knives are also great groomsman gifts for your wedding party.